The waterworks is the latest exhibition by Lisburn based artist John Price. 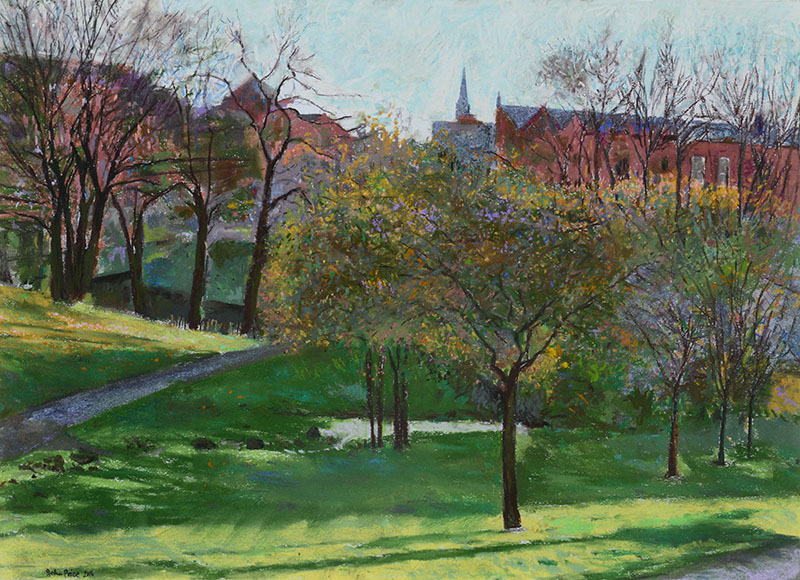 The exhibition comprises of paintings and drawings of the Waterworks area in Belfast produced during 2016 and 2019. The opening of the exhibition will take place at the Engine Room Gallery on Thursday 4th April. The exhibition continues until Saturday 27th April.